a gold chain running through and crystal and bead details. Bracelets measure 2.6" in diameter. 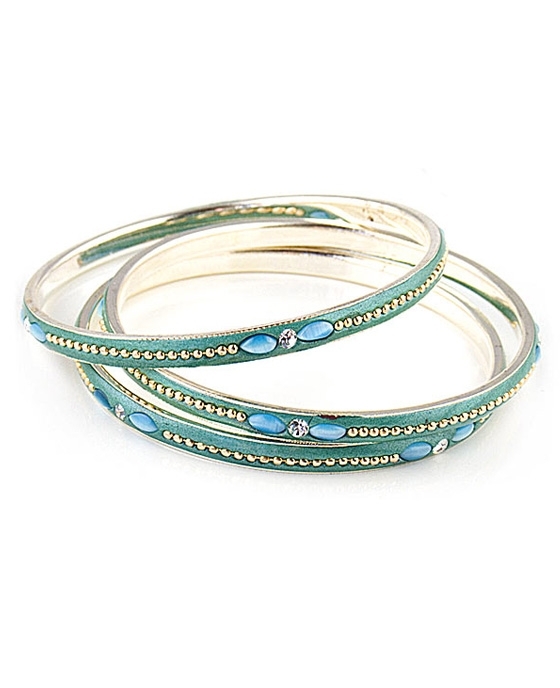 A cheerful addition to you wardrobe, these bangles will add colour and spark to your Spring outfits. Pair them with the other colours to create a sparkling spring look!